Winter is on the wane in Northern New England. While some may call it “mud season”, others think of March as a sweet time of year. The sap starts running and the maple sugar houses offer gallons of maple syrup, sugar on snow, maple candies, and fun events such as pancake breakfasts and horse-drawn rides. Maple Weekend is March 23 & 24 in Vermont and New Hampshire, and Sunday March 24, in Maine. Come join the fun. Traditional or modern – buckets or tubes – collecting sap for a sweet treat! Want to Make Your Own Maple Syrup? Boiling the sap in the sugar house at Jericho Brook Farm. It takes 40 gallons of sap to make 1 gallon of syrup. 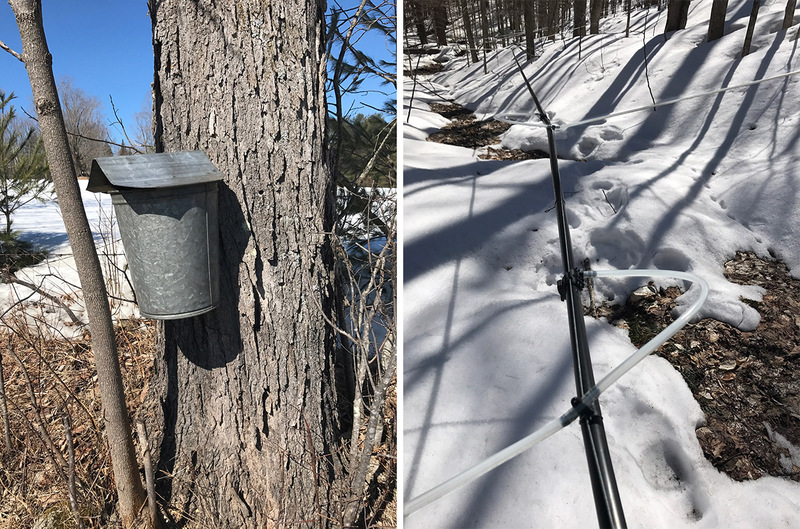 At Jericho Brook Farm, as part of its woodland operations, the owners lease their sugarbush to a local farmer in exchange for an annual payment per tap. With 3,500 taps, they generate a steady annual cash flow to offset part of their annual expenses. Future owners could continue this arrangement or choose to operate a maple syrup operation themselves. 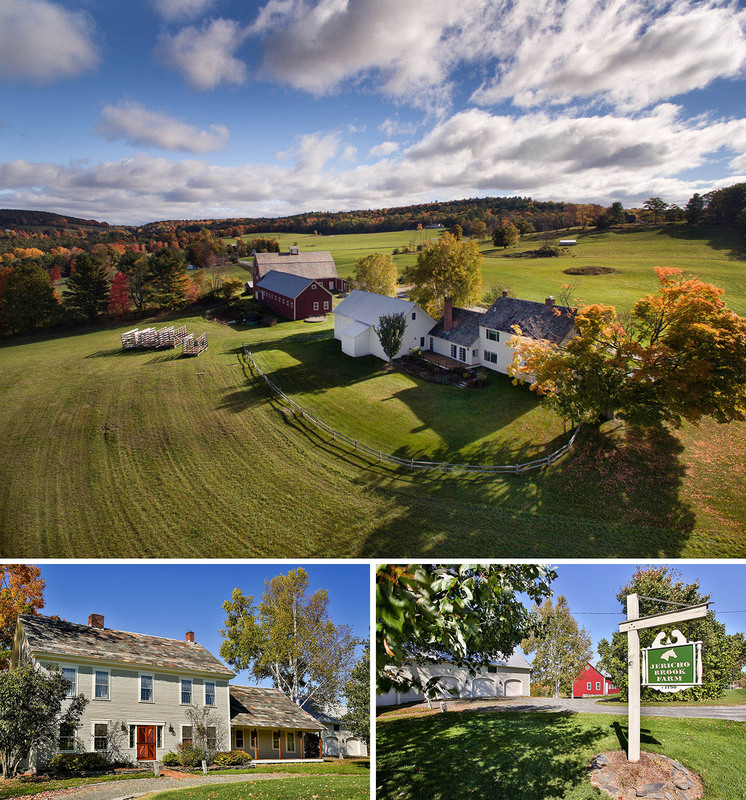 Either way, this diversified farm on 199 acres located only six miles from Dartmouth College is a true gem for anyone longing to lead a land-based lifestyle. Birch Tree Farm in Woodstock is located in a private valley on 468 acres. It provides plenty of space and opportunity to make your own maple syrup. The 5-bedroom, 4-bath, lodge-style residence offers an open floor plan. Its 2-story great room is centered by an impressive stone fireplace flanked by tall windows framing the Ottauquechee River Valley. An expansive deck overlooks the infinity pool, swimming pond, apple orchard and meadow. And, there’s an exceptional three-level bank barn which overlooks the property with fenced pastures and miles of carriage trails. 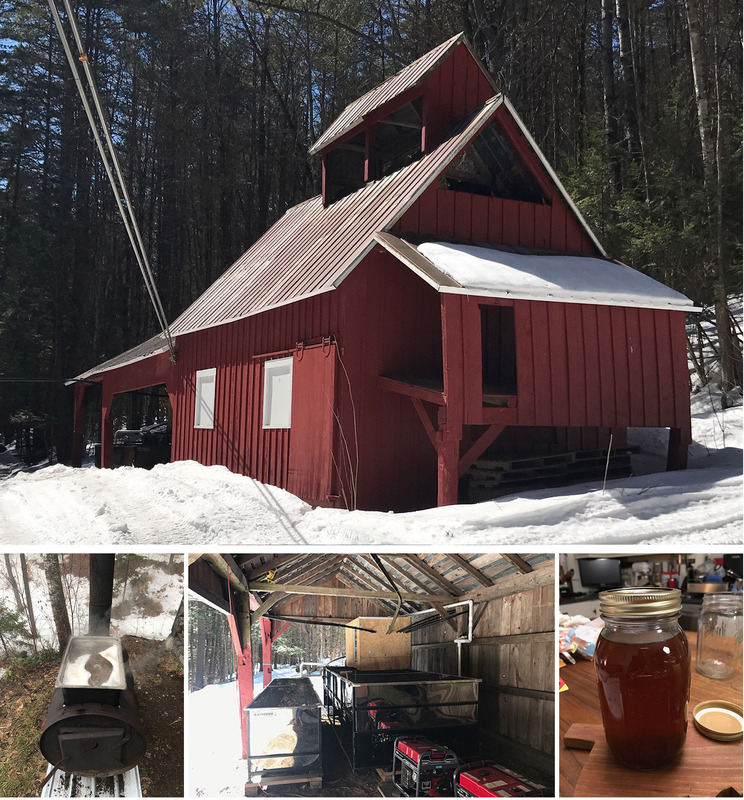 If you are looking to make a move to Northern New England, you will most likely find a sugar house nearby to stock up on your supply of maple syrup, nature’s sugar. 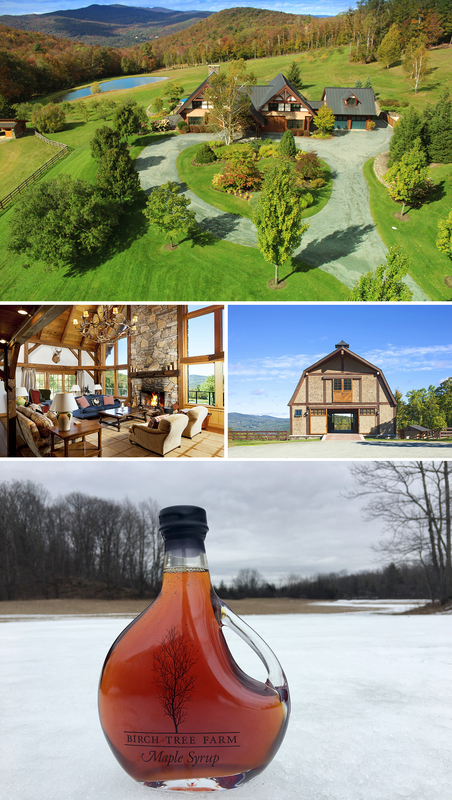 Check out these available listings in New Hampshire, Vermont, and Maine. Andrea W. Tindal has been a realtor since 2001 working with both buyers and sellers throughout New Hampshire. She joined LandVest in 2013 as Assistant Project Manager for LandVest’s New Hampshire Division, combining her love of real estate sales with her marketing experience, and now also works closely with the Vermont Woodstock team.